Losee Canyon is located just off of Hwy 89 on a gravel road that comes out on Hwy 12. 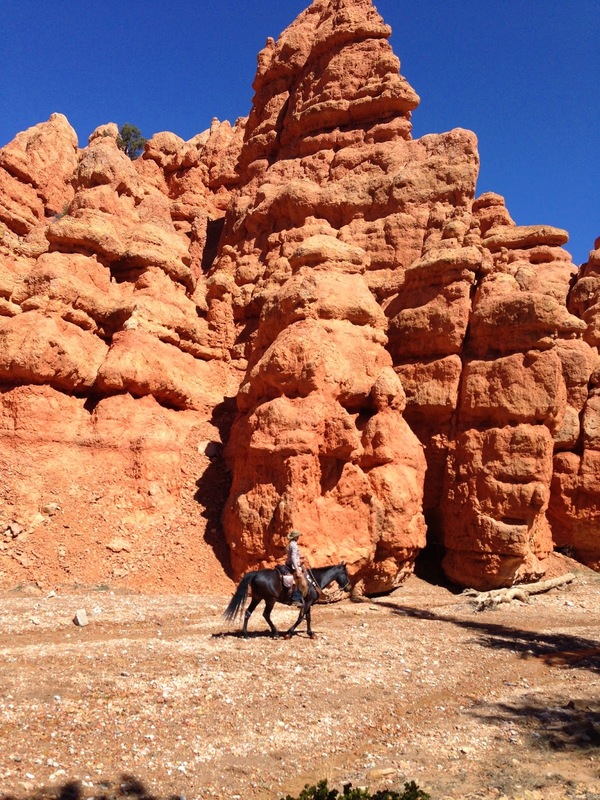 If you are heading towards Bryce Canyon say from Kanab follow Hwy 89 until your see Hwy 12 or the Bryce Canyon turn off. Go down Hwy 12 for just about a mile maybe less. You will see a brown sign that say Casto Canyon and Losee Canyon. Turn left down that gravel rode. The trailhead is about 2 miles down that road. Just before trailhead on the left you will see a gravel small driveway going into the trees you can camp in there but it is too narrow for most larger rigs. We managed to park at the trailhead. Here is a trail map it will show you the whole trail system in the Bryce area. The trails are all inter connected. We were lucky enough to be able to use the trailer from Ruby's Inn because we were stabled there. 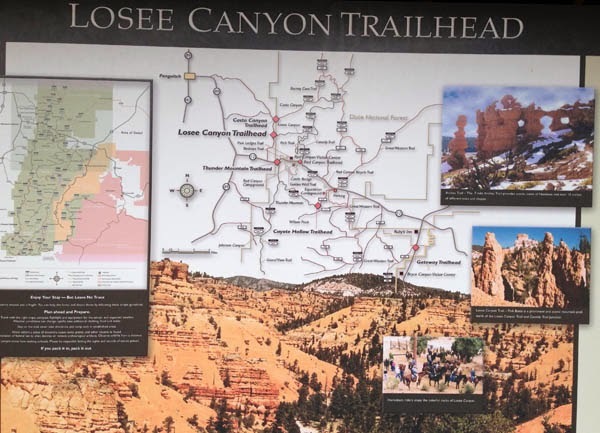 We took the Losee Canyon trail to the Butch Cassidy Trail then took the Rich trail to the Red Canyon trail that brought us out at the Red Canyon Trail head. Ron rode back to get the truck and trailer and meet us there. Ron took this picture of Myself (Kelly, Sharon, Irene and Ross) at the start of our ride. This is in Losee Canyon. The trail systems in this area could keep you busy for a week. 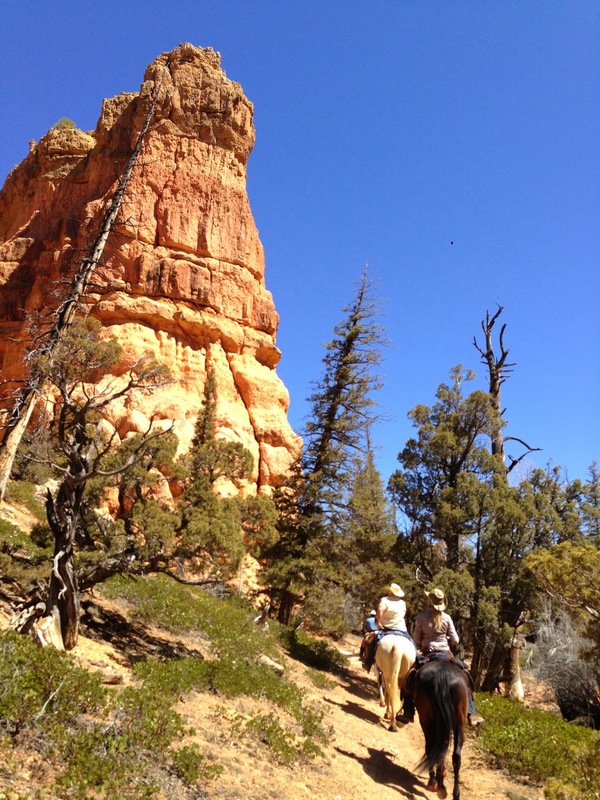 You can camp at either Coyote Hollow Equestrian Camp or at Ruby's Inn rodeo grounds. If you go to the rodeo grounds make sure you either call Ruby's Inn or drop by the Ruby's Horseback Adventures to book corrals at the rodeo grounds. จีคลับ Investments you can play every day. จีคลับ Online casino site to play gambling at any time. Full of selected gamblers. There are a lot of gamblers. Where to play gambling? I came to play it. Give more return. With the online gambling. The higher the profit, the easier it is to play gambling, it can be played on a daily basis. In addition, when investors invest in online gambling services on our site, gamblers will be exposed to online gambling games that challenge at our site. Online gambling games that will provide fun and great online betting experience. It's a simple investment, no matter how much you like gambling. It can be played every day, always guaranteed.